Haiter Lenin, A., Ravi, R., Thyagarajan, K. (2013). Performance Characteristics of a Diesel Engine Using Mahua Biodiesel as Alternative Fuel. Iranian Journal of Energy and Environment; previously called: Iranica Journal of Energy & Environment, 4(2), -. A. Haiter Lenin; R. Ravi; K. Thyagarajan. "Performance Characteristics of a Diesel Engine Using Mahua Biodiesel as Alternative Fuel". Iranian Journal of Energy and Environment; previously called: Iranica Journal of Energy & Environment, 4, 2, 2013, -. Haiter Lenin, A., Ravi, R., Thyagarajan, K. (2013). 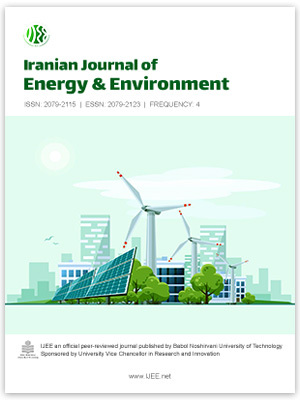 'Performance Characteristics of a Diesel Engine Using Mahua Biodiesel as Alternative Fuel', Iranian Journal of Energy and Environment; previously called: Iranica Journal of Energy & Environment, 4(2), pp. -. Haiter Lenin, A., Ravi, R., Thyagarajan, K. Performance Characteristics of a Diesel Engine Using Mahua Biodiesel as Alternative Fuel. Iranian Journal of Energy and Environment; previously called: Iranica Journal of Energy & Environment, 2013; 4(2): -.